The Benefits Of Homeschooling: Why Home School? 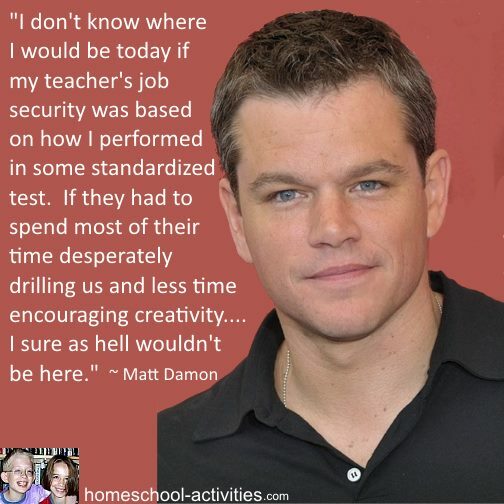 I am one of the very few second generation home school families so the benefits of homeschooling are something I know from both sides - as a child myself and as a teacher to my own children. 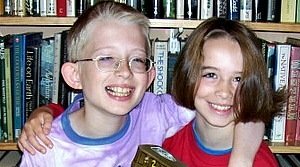 Also, since my children William and Catherine are now high school age, I've experienced first hand the ups (and occasional downs!) of homeschool for children of all ages. And home school is still the best decision I've ever made. Everyone knows that interest is the key to all learning. My parents chose homeschool back in the early days when hardly anyone knew what home school was and everyone believed it was illegal. 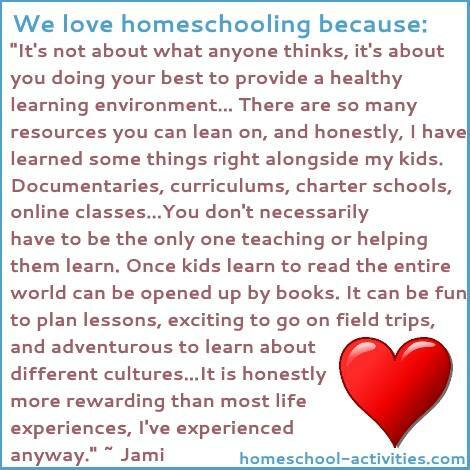 In fact, even my parents didn't really know the homeschool requirements so I ended up following quite a rigid homeschooling schedule, with more of a 'school at home' approach. That's shown me that when you decide how to homeschool whatever choice you make - from the very structured to more of a 'go with the flow' approach - you'll still find the benefits of homeschooling shine through. You can see why my parents decided to become homeschooling pioneers, including an interview with my Mom about what it was like teaching me, in my second generation homeschool serial. 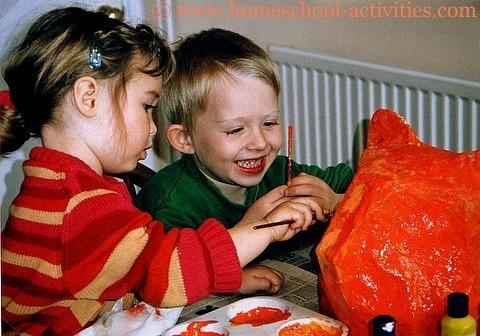 My own experience of home school was an overwhelmingly happy one; the world was an exciting place full of wonders to explore. We did lots of things to encourage my interests and I have tried to pass some of them on to William and Catherine - and that's one of the biggest homeschool benefits. You have time to do things together. You'll see how my love of the outdoors has been just one of the areas that we've been able to enjoy together; tracking animals and making fires in kids outdoor crafts is just one of the many things which rarely get allotted much time in a school curriculum. 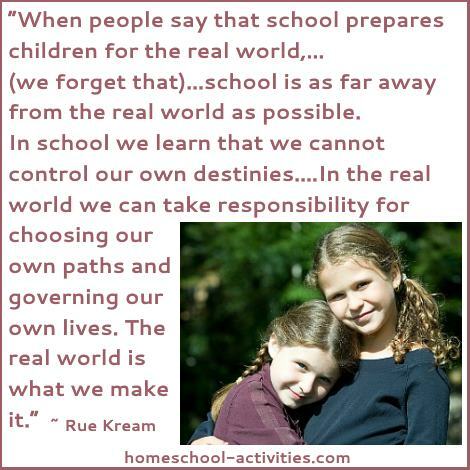 So if you're asking: Why home school? one of the answers must be that you can add things in to your child's education which would never be given much importance at school. And there's more benefits attached to that. If your child, like Catherine, loves art you can afford to indulge that interest, to allow your child the freedom to keep on working on something long after the 'lesson' should have finished. Catherine has used her artistic skills to populate our dinosaurs project - who would have guessed that we're just finishing now, four years after we started? Or that her artistic talents would develop to such an extent that she can now show other children (and adults) the way to draw a dragon? "I am enjoying my son - in such a short time I am learning so much about him. He says - he feels his wings have been unclipped, free to fly x"
So, whatever homeschool schedules you decide to follow, you can be sure that one of the benefits of homeschooling is the flexibility to allow your child time to explore what they're interested in. 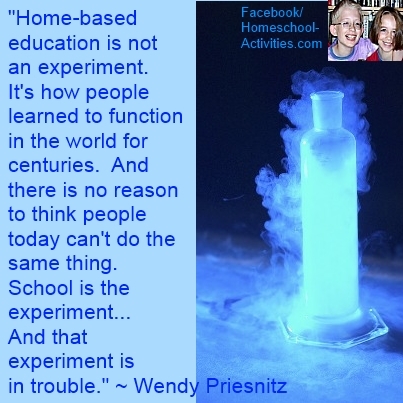 The Why home school? 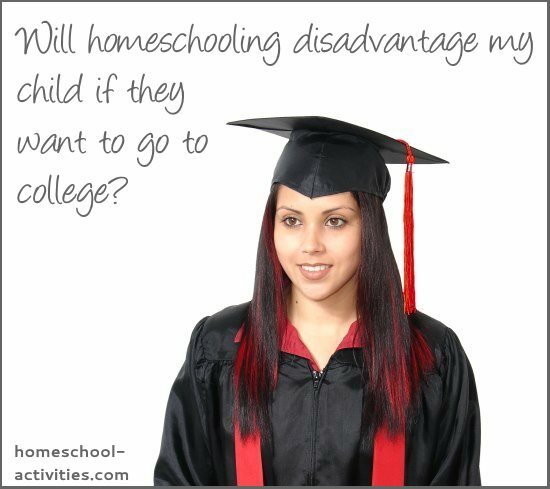 question must largely be answered by the obvious benefits of homeschooling that come from one to one education. You do not have a class of 30 children to teach so you can cater exclusively for the needs of your child/ren. In fact, when you're looking at the question whether homeschooling is effective, you'll find the home school statistics bear out the benefits of homeschooling when it comes to the academic advantages of homeschooling. "Homeschooling is being able to set your own timetable and giving your children the love and support they deserve." Every home school family is different, and so, needless to say, is every child. You'll know as well as I do that some kids love school but others just don't thrive in that environment. When it comes to the homeschool versus public schools debate you only have to read Award winning teacher John Taylor Gatto speaking about a twelve year jail sentence. School is not always the answer and many kids are failed by their education. 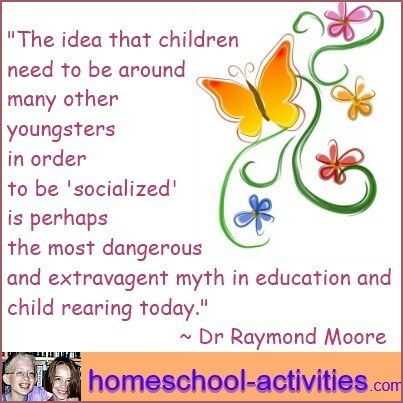 Education is far more than academic success; and the supposed social disadvantages that come with homeschool are nothing more than a red herring. If you choose to homeschool your child you'll get back something priceless; a real family where you can encourage your child to develop into whatever person they choose to be. Which is not to say that you won't encounter some problems with homeschooling - but anything worthwhile has its challenges along the way. 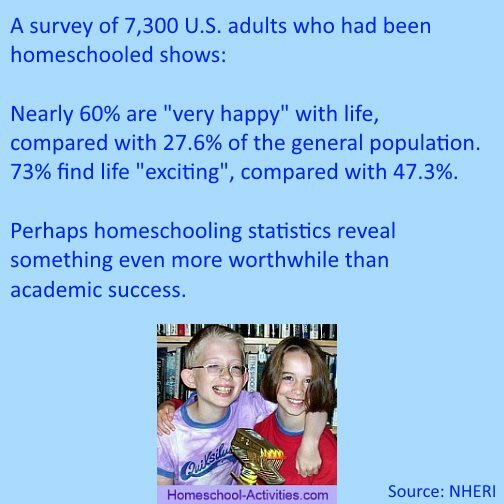 If you'd like to see more reasons showing the benefits of homeschooling, you can see more good things about homeschooling here.